Join us for our Gaelic Chef's Table event with live music by Paul Horgash and Ian Tully! Take 15 to 20 minutes out of your day to experience the Virtual Dementia Tour®. 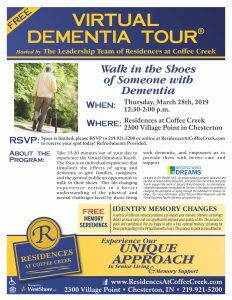 The tour is an individual experience that simulates the effects of aging and dementia to give families, caregivers and the general public an opportunity to walk in their shoes. Can't make the event, but want to know more? 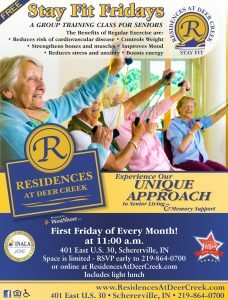 Call to schedule a personalized tour of our community, call 219-921-5200. 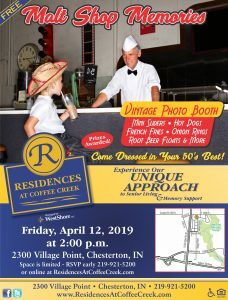 Come dressed in your 50s best! Prizes will be awarded! Garden Party – Edible Floral Event!